In the sphere of sales, it helps to get your definitions down. You might have thought sales operations and sales enablement are the same thing – but there are important differences. Both have the objective of improving sales performance, and although there is some overlap, they do this in different ways. To help us understand exactly what sales enablement is, it will help us to define sales operations. Sales operations, also known as sales ops, is seen as a field with a narrower focus than sales enablement; typically dealing with looking at statistical sales trends, analyzing them, and searching for insights. This can mean comparing made to conversions or weighing up forecasts in relation to current trends. Sales ops teams are key to managing the large amount of data which sales teams typically churn out in the digital era. They can communicate findings in the form of reports which are presented to different departments of an organization, making the sales ops important in demonstrating the effectiveness and value of a sales team to the wider company. 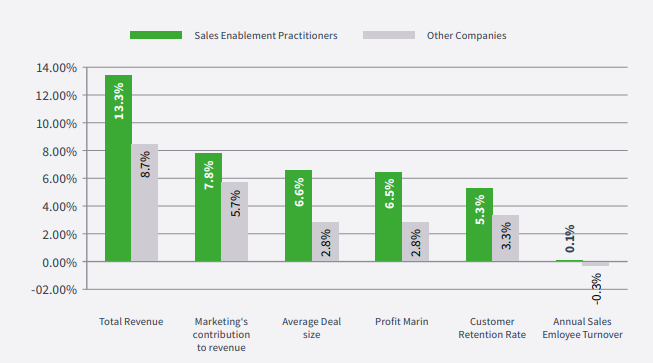 What is Different about Sales Enablement? Now we’ve got sales operations out of the way, what exactly does sales enablement mean? Sales enablement can be seen as providing vital support for both sales ops and sales teams. Sales enablement helps to determine which are the best resources for sales ops to use and strategize with them to determine the best way of going about sales ops and sales activities. 1. Content Based – Sales enablement which is content based involves the provision of useful assets and collateral to sales teams, increasing their knowledge base and allowing them to have more informed conversations with buyers. – Enables reps to succeed and boosts confidence! They are better equipped to handle objections (and counter them) therefore increasing win rates during the sales process. – Accelerates sales cycles – Reps are able to communicate more clearly and consistently with champions and key stakeholders throughout the sales process. 2. Training Based – The education of sales reps with techniques, tips, and tricks which can improve sales performance, often in relation to specifically targeted buyer bases. 3. Technology Based – Providing the right technology, including digital tools, to sales teams with a view to improving sales performance through added efficiency and penetration. Some organizations will practice all three of these sales enablement types, others will concentrate more on one type. Because of these, you can find that some organizations refer to sales enablement when describing the specific type which they use; be it content, training or technology based. But what all the forms of sales enablement have in common is that their effectiveness can be judged by sales performance and a business’s overall profitability? In simple terms, effective sales enablement should equal better sales. Why? Because sales enablement is all about realizing your full sales potential and getting the best out of each individual of your team. Some sales personnel might not be hitting the numbers which you expect from them, and in these cases, sales enablement can give them the ‘leg up’ which they need to start turning their results around by improving the sales process. By the same token, many star performers will have no problem achieving or exceeding their quota each month, but that doesn’t mean they can’t improve further. Sales enablement sets about making everyone in your sales force an ‘overachiever’ and an effective sales enablement strategy should work on the premise that ‘everybody has room for improvement’. Sales enablement can also ensure a level playing field among the sales team, providing each member of the set up with the same access to knowledge, tools, and tips. The team which is formed to deliver sales enablement within an organization can often include some of the star sales performers themselves. This can be vital in allowing your best salespeople to have an active role in developing less experienced or able members of the team, ideally engendering a trickledown effect of best practice. As we all know, salespeople constantly have their performance tracked in order to measure their success. But sales enablement teams are no different – in fact, you might argue that there are more metrics involved in measuring the success of sales enablement. So where to start? MarketJoy identified eight different areas of sales enablement metrics which have significant impacts on accomplishing the end goal of sales. Coaching strategies for sales enablement are often best tailored to the needs of each individual sales rep. That way, it can have the maximum impact. But how is this impact measured and defined? Quite typically, measuring the coaching aspect of sales enablement involves weighing up results such as overall sales volumes, improved closing rates and profitability against coaching data – which can include the volume of coaching a rep or team has received, the percentage of coaching in relation to the other type of sales enablement which they have been provided with and the frequency of coaching which they receive. In case where coaching has been delivered to multiple individual sales teams – perhaps focusing on different target customer groups or geographical regions – the effectiveness of these specific insights or techniques can be measured and compared from team to team. Equipping is a type of sales enablement which often involves the sales teams being given the tools/software which can allow them to do their job more effectively. It might be a customer relationship management system for the team, or other pieces of software and more traditional methodologies such as best practice training, which can allow sales ops to collect data, structure strategies and report information. Equipping can be summarised as ‘giving sales teams the tools which they need to succeed’. Whatever is provided in the equipping, can be measured by metrics which include a sales rep’s productivity before being equipped with a tool and after using it, or where relevant, the time IT spend on each full-time employee. Where uptake of a sales enablement tool is optional, the success of the equipping can be measured by the uptake itself, using the percentage of sales personnel using a particular tool, method or CRM system. Sales enablement can encompass every element of the sales function within an organization. That includes the hiring of the sales force to work within the sales department, with techniques which aim to ensure that the right people are ‘on board’, and that the size of the team can be maintained at the required level. Recruiting and hiring is the perfect illustration of how multiple departments have a stake in sales enablement, as HR can often look after these tasks as part of their contribution to a wider sales enablement strategy. This type of sales enablement can also include the training of new reps to become ‘fully operational’. One way of measuring sales enablement focused on recruiting is the recruitment spend which is attributable to each full-time employee. Onboarding ramp-up time almost takes 7 months and extra 5 -6 months to get reps fully ramped up which is a very long time. So, you can measure how long it is taking each sales rep to become fully assimilated within their team and up to speed with the rest of their team members – a yardstick for sales enablement is often how long it has taken team members to adopt best practices and become effective. This metric is especially pertinent for fast-growing organizations. There is no point in having a sales enablement team if they can’t help you convert more leads into customers – right? And so naturally, leads to customer conversion is seen as a good metric to use when measuring the impact of the sales enablement activities which you have action. There are, of course, plenty of other variables when it comes to conversions, such as the ability of sales reps themselves. But you can track your effectiveness in increasing that ability by measuring conversions against different sales enablement activities. By the same token, using lead generation as a metric can also work. Quotas are a common way of measuring sales performance. Quotas can be made ‘universal’ and set at the same level across an entire sales team or set according to the experience and ability of each sales rep. Where sales enablement comes in is allowing the ‘underachievers’ to hit their quotas and heighten their expectations. Therefore, the effectiveness of various sales enablement strategies can be tested by their ability to help sales teams hit their quotas consistently and allow quotas to be increased. On a daily and weekly basis, the metric of quotas being achieved can often be the most regular way in which sales enablement is measured. The sales cycle encompasses all the steps in the sales journey, from prospecting all the way through to closing sales and referrals. In many areas of business, particularly the B2B world, the sales cycle can be a long drawn out process – making b2b sales enablement essential. According to research the average length of the sales cycle has gone up by 22% in the past five years. This has been accentuated by the increased amount of decision makers that are often involved in the modern day, specifically where large organizations or corporations are involved. Sales enablement activities which can shorten the sales cycle – by making any of the steps more easily achievable – are invaluable, and for this reason, sales cycle times can be used as a useful metric when measuring the success of sales enablement. Another related metric can be to link the length of sales cycles to the amount of revenue generated in them, comparing these results along with a timeline, coupled with the implementation of sales enablement activities. So, you’ve identified the best performers in your sales team, who reach their quota week after week. You can make these star team members part of your sales enablement by tracking their activities and see what they are doing right. This can be an integral part of seeing what works and what doesn’t in sales. With the right training and guidance, there is no reason why lower performing staff members can’t improve their performance by using the best practices established by those consistently hitting their targets. And so, the replication of high performance and best practice becomes a metric – how often has it been achieved and how many high performing sales reps have it involved? You might say there is almost no point in having a sales enablement function if the tools it produces are not being used by salespeople. And that comes down to consistency in messaging. Let’s say that a product video had proved very effective for several sales reps in the generation of leads or achieving conversions. After the success has been identified by sales enablement team and has been recommended to other struggling sales reps targeting the same buyer base, how often is that video being used? If it isn’t consistent, you might point to a communication breakdown which lies at the feet of sales enablement. Therefore, consistency in messaging can be used as a metric – what percentage of a sales team has used a tool in their conversations with prospects, once it has been provided to them. The best sales enablement strategies are carefully weighted to address the parts of a sales operation which need the most help. You should know exactly what you are trying to do, and this doesn’t simply equal “achieving more conversions”, it means understanding where you can improve and tailoring your sales operation accordingly. Whether you have a specialized team dedicated to sales enablement, a group of staff members chosen from inside the sales department, or from across your organization – these individuals should know exactly what their roles are within the sales enablement set up. You could divide roles by activity (i.e. technology-based, training based, or content based), or according to a specific customer sector or sales area. It is important to have somebody who is accountable for sales enablement and oversee processes. It makes sense that this individual comes from a sales background, but they may also need to have a broader organizational knowledge. Separate from the main sales enablement team, you should consider a committee which draws on cross-departmental knowledge which can inform the sales enablement process. This is a chance for all affected departments to have their say and get involved – from HR to accounts and marketing. 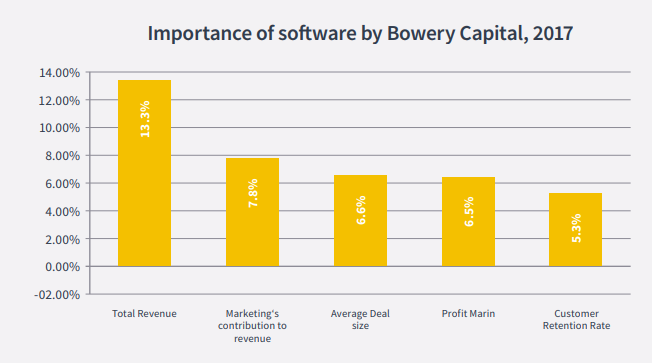 Technology and other tools used for sales enablement cost money, and for this reason, you should invest the necessary time it takes to choose the right systems which can really make a difference. Your sales enablement team should be able to liaise with IT and set up testing procedures which allow a tool to prove its effectiveness before you buy. It can be too easy to get wrapped up in the internal aspect of sales enablement. While sales enablement is there to help your sales team, you should remember that in turn, their ultimate aim is to attract buyers. Therefore, the buyer should always be kept in mind. Whatever content you are supplying to improve your sales department, it should be quality material designed to do a specific job. Use average content and expect average results. Your sales enablement strategy should not consider training to be a periodical exercise. If you want continuous improvement you need to make sure training is a constant. Use the metrics detailed in this handbook to make sure that the sales people in your organization are using the tools which you provide to improve their performance. Part of a sales enablement team’s job is to ensure that all tools, content, and technology is easily available to those who need it. That could mean utilizing a company intranet to ensure easy access; developing a CRM system which incorporates sales enablement elements; and making the members of your sales enablement team an active sounding board for your sales team, providing them with ongoing advice. Sales enablement is not about a race against time to increase conversions as quickly as possible. Rather, a sales enablement framework can work best as a long-term part of your sales planning; reacting to current trends, being easily adjustable to the business landscape and finely tuned to ensure that it is helping your sales team in the areas it needs the most.